Launched in 1998, the Deloitte UK Technology Fast 50 awards are a celebration of innovation and entrepreneurship. The award measures sustained revenue growth over four years, and being one of the 50 fastest growing technology companies for the second year in a row in the UK is an impressive achievement that we are extremely proud of!. At agency:2 and our sister company Mighty Social, smarter technology driven segmentation is enabling us to target customers fast – this in turn means we can reach them when they are more likely to be poised and ready to purchase. Tapping into behavioural patterns means delivering ads that hit the mark and generate excellent results for our clients. As innovators, we are constantly improving and updating our unique algorithms – we never sit still because technology keeps shifting – we are happy to in one of the most exciting sectors, riding a wave that just keeps growing and evolving. We have fantastic teams here of social media, technology and paid media experts – so thank you everyone and let’s keep innovating! More awards: agency2 is a finalist at the CIM Excellence Awards 2017! What a brilliant start to the year. We were thrilled to receive the news earlier this week that our Thomas & Friends ‘The Great Race Cinema Launch’ Facebook marketing campaign was selected as a finalist for the ‘Best Use of Social Media’ CIM Excellence Awards. The Chartered Institute of Marketing is the world’s biggest professional marketing body, with over 50,000 individual members across the globe. The prestigious CIM Excellence Awards identify and celebrate outstanding marketing by organisations, individuals and teams. Now in its eighth year, these awards continue to recognise that high standards of quality and integrity are vital to the success of marketing. The awards recognise and celebrate the innovation delivered by marketers across the UK who are at the cutting edge of their profession. With our Social Insight Engine technology, we deliver game-changing social media campaigns for the world’s leading brands. We love to showcase our innovative campaigns and were excited to submit our awards entry back in December. 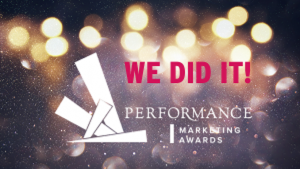 This year’s judging panel consists of senior marketing professionals from brands such as Avon, 3M, Google, LinkedIn, Universal, IBM, Prudential, JLL and Mondelez International to name but a few, so we were honoured to be considered for this award in this highly relevant category. The awards ceremony will take place on 27 April 2017 at the Grosvenor House Hotel, Park Lane London. We will be joining 700 of the UK’s best marketers to mark the occasion. Watch this space and wish us luck! We had a fantastic year of growth in 2016 including being ranked the 3rd fasted growing tech company in the UK out of 45,000 media companies at the 2016 Deloitte UK Technology 50 Awards. With such a great start to 2017, it looks like we are well placed to push boundaries in our ever-changing industry throughout the year. agency:2 is thrilled to be ranked 22nd of fast growing tech companies in the UK. We would like to thank our clients and team for helping us to achieve this amazing result. The Deloitte UK Fast 50 is one of the UK’s foremost technology awards programmes. Now in its nineteenth successful year, it is a prestigious acknowledgement of the fastest-growing technology companies in the UK. The ranking is based on revenue growth over the last four years. 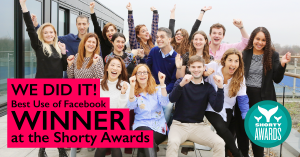 agency:2 is an award-winning social media agency powered by audience insight technology. Our leading social media advertising technologies and expertise enables us to deliver results that far exceed expectations. As innovators for the social ad industry, we work with world leading brands such as Barbie, Worldpay and Sony to deliver the best social media results using our technologies and expertise. 1.Social marketing success is partly driven by testing. Without requiring major cost outlays, you can effectively measure, refine and improve your campaign’s targeting and creative approaches to achieve favourable results. 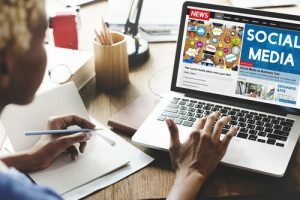 So don’t be afraid to experiment with a new channel – as long as you believe the targeting options are suitable for your brand’s desired audience. 2.Work with a specialist agency to ensure that you fully maximise the marketing opportunities each channel offers. This will allow you to benefit from the agency’s experience of working with similar brands to yours and all the additional audience insights this offers. 3.LinkedIn works well for B2B audiences and we have rated the targeting capabilities as outstanding, especially as users regularly update their own data. But be mindful that it takes time to grow a company’s follower base and that LinkedIn advertising is relatively expensive. 4.Twitter’s advertising offering is still somewhat limited. But its users hugely enjoy the conversational / mini blogging style it offers. It also lends itself well to engaging with key influences in your sector. So if this suits your brand story, we recommend that Twitter is a must have addition to your marketing mix. 5.If you need to get in front of a new audience, Facebook advertising offers especially cost-effective ways of achieving this and it lends itself well to capturing UGC and highly creative ad formats. 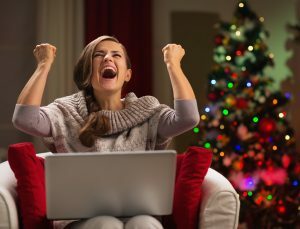 Add to this smart targeting techniques, and you can achieve game-changing campaign results using Facebook marketing. Here at agency:2 we’re passionate about social media and we work with some of the world’s leading brands. By selecting the best channel for your brand, together with optimum timing, creative execution, smart targeting criteria and techniques, we will ensure that you maximise the ROI of your social campaigns.